This 8-week beginner workout programme won’t take you so far out of your comfort zone that it ends up breaking you, but it will force your body to grow and adapt. That’s exactly what you want. 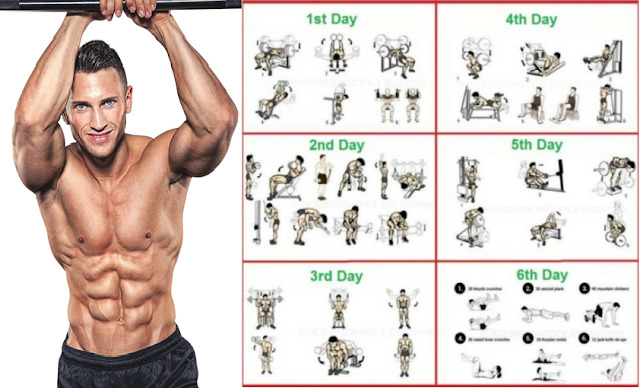 For the first 4 weeks of this 8 week workout programme, you will follow a 2 day split, work out for 2 days followed by 1 day of rest and then rest on weekends. By following this split, you’ll provide your body with adequate rest, allowing it to recover from the workouts. From week 5 onward, you will work out for 3 consecutive days followed by a rest day and then work out for another 2 days, totaling at 5 workouts a week. This is one of the biggest mistakes that gym novices make, adding too much weight, too soon. Adding too much weight to what you can lift before your muscles have had enough time to develop and grow stronger, will only increase the risk for injury. Making small weight increments to your lifts (or even isolation movements) will allow your body to grow and adapt to progressive overload. This is one of the most basic ways to grow stronger and bigger. Training with poor form is just as big a risk for injury as training too heavy is, let alone doing both at the same time. You’ve heard the saying, “practice makes perfect.” Well, it’s true. If you practice your form with lighter weight, you’ll be able to execute near-perfect form with the heavier weights. Also, training with bad form will not only increase your risk of injury, but you won’t get the most out of the muscle group that you’re training. That’s why the first 4 weeks of this beginner workout programme should be focused on executing your movements with great form. This doesn’t mean that you’ll only be training with light weights, it just means that there will be a special emphasis placed on your form. Learn how to train to failure. Though the first 4 weeks of this programme will place more emphasis on training with the correct form, the last 4 weeks will be a test of your will power. During the last 4 weeks, you’ll have to push yourself both mentally and physically to train to failure. However, training to failure doesn’t mean that you train until you can’t train anymore. It simply means that you should use a weight that would allow you to fail at a number of reps.
For example: If I said that you should do 10 reps to failure, that means that you should choose a weight that would fail you on the 10th rep and that performing the 11th rep would be impossible. When training for a physique change, the rest that you take in between sets is extremely important. It’s recommended to rest 1-2 minutes between sets. Unless you’re training for strength, resting for longer than 2 minutes will deter your gains. For muscle-building, you want to rest just long enough to allow your body to get rid of metabolic waste in the bloodstream and allow you to catch your breath for the next set. 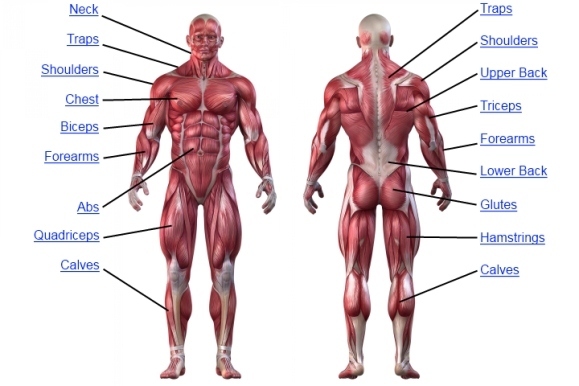 However, muscle groups differ in size, therefore, for smaller muscle groups, resting closer to the minute mark is advised. Training muscle groups like the legs or back require more rest, and therefore resting up to 2 minutes would be enough. If you want your body to keep growing, you need to keep forcing it to adapt. One way of doing that is by overloading the muscle. Another way of doing it is by changing the routine. By changing your routine: exercises, reps, sets, intensity principles, etc. Are what will help your body to change. Train 2 days on, 1 day off. Rest weekends. Emphasise on form over weight. Warm-up sets are not included. Perform 2-3 warm-up sets. Increase weight by 2-5 pounds each week. Perform workouts as upper body day, lower body day, etc. Never perform two consecutive upper or lower body workouts. Train 3 days on, 1 day off, 2 days on. You’ll be training for a total of 5 days a week, which could be Sun, Mon, Tues, Wed (Rest), Thurs, Fri, Sat (Rest). Keep form in mind, but train to failure on two isolation exercises per workout. Keep increasing the weight by 2-5 pounds each week. Keep performing the workouts as upper body day, lower body day, etc. Never perform two consecutive upper or lower body workouts. Keep the ‘rules’ that have been outlined in mind and in your workouts, and soon, you won’t be a beginner in the gym. Keep pushing through and keep trusting the process. The results won’t come over night. Honestly, I wish that they did, but that’s not the case. If it was, then everyone would be doing it and there would not be any admiration for a good physique.